We have long promoted a systems view of nuclear facilities and the overall industry. One consequence of that view is an openness to possible systemic problems as the root causes of incidents in addition to searching for malfunctioning components, both physical and human. One system where we see this openness is the air transport industry—the air carriers and the Federal Aviation Administration (FAA). The FAA has two programs for self-reporting of incidents and problems: the Voluntary Disclosure Reporting Program (VDRP) and the Aviation Safety Action Program (ASAP). These programs are discussed in a recent report* by the FAA’s Office of Inspector General (OIG) and are at least superficially similar to the NRC’s Licensee Event Reporting and Employee Concerns Program. What’s interesting is that VDRP is receptive to the reporting of both individual and systemic issues. The OIG report says the difference between individual and systemic is “important because if the issue is systemic, the carrier will have to develop a detailed fix to address the system as a whole—whereas if the issue is more isolated or individual, the fix will be focused more at the employee level, such as providing counseling or training.” (p. 7) In addition, it appears both FAA programs are imbued with the concept of a “just culture,” another topic we have posted about on several occasions and which is often associated with a systems view. A just culture is one where people are encouraged to provide essential safety-related information, the blame game is aggressively avoided, and a clear line exists between acceptable and unacceptable behavior. Now the implementation of the FAA programs is far from perfect. As the OIG points out, the FAA doesn't ensure root causes are identified or corrective actions are sufficient and long-lived, and safety data is not analyzed to identify trends that represent risks. 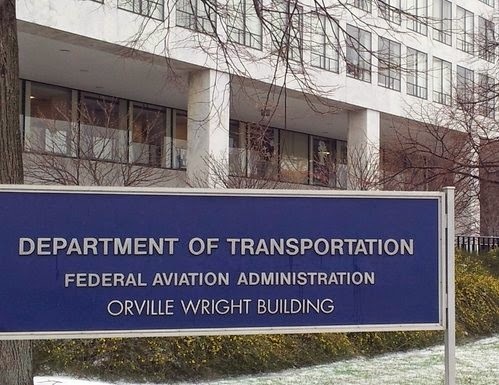 Systemic issues may not always be reported by the carriers or recognized by the FAA. But overall, there appears to be an effort at open, comprehensive communication between the regulator and the regulated. So why does the FAA encourage a just culture while the nuclear industry seems fixated on a culture of blame? One factor might be the NRC’s focus on hardware-centric performance measures. If these are improving over time, one might infer that any incidents are more likely caused by non-hardware, i.e., humans. As a practical matter, the nuclear industry is loosely coupled, i.e., each plant operates more or less independently of the others (even though plants with a common owner are subject to the same policies as other members of the fleet). There is seldom any direct competition between plants. However, the industry is viewed by many external observers, especially anti-nukes, as a singular whole, i.e, tightly coupled. Insiders reinforce this view when they say things like “an accident at one plant is an accident for all.” And, in fact, one incident (e.g., Davis-Besse) can have industry-wide implications although the physical risk may be entirely local. In such a socio-political environment, there is implicit pressure to limit or encapsulate the causes of any incidents or irregularities to purely local sources and avoid the mention of possible systemic issues. The leads to a search for the faulty component, the bad employee, a failure to update a specific procedure or some other local problem that can be fixed by improved leadership and oversight, clearer expectations, more attention to detail, training etc. The result of this approach (plus other industry-wide factors, e.g., the lack of transparency in certain oversight practices*** and the “special and unique” mantra) is basically a closed system whose client, i.e., the beneficiary of system efforts, is itself. In contrast, the FAA’s world has two parts, the set of air carriers whose relationship with each another is loosely coupled, similar to the nuclear industry, and the air traffic control (ATC) sub-system, which is more tightly coupled because all the carriers share the same airspace and ATC. Because of loose coupling, a systemic problem at a single carrier affects only that carrier and does not infect the rest of the industry. What is most interesting is that a single airline accident (in the tightly coupled portion of the system) does not lead to calls to shut down the industry. Air transport has no organized opposition to its existence. Air travel is such an integral part of so many people’s lives that pressure exists to keep the system running even in the face of possible hazards. As a consequence, the FAA has to occasionally reassert its interest in keeping safety risks from creeping into the system. Overall, we can say the air transport industry is relatively open, able to admit the existence of problems, even systemic ones, without taking an inadvertent existential risk. The foregoing is not intended to be a comprehensive comparison of the two industries. Rather it is meant to illustrate how one can apply a simple systems concept to gain some insights into why participants in different industries behave differently. While both the FAA and NRC are responsible for identifying systemic issues in their respective industries, it appears FAA has an easier time of it. This is not likely to change given the top-level factors described above. * FAA Office of Inspector General, “Further Actions are Needed to Improve FAA’s Oversight of the Voluntary Disclosure Reporting Program” Report No. AV-2014-036 (April 10, 2014). Thanks to Bill Mullins for pointing out this report to us. ** “Coupling” refers to the amount of slack, buffer or give between two items in a system. *** For example, INPO’s board of directors is comprised of nuclear industry CEOs, INPO evaluation reports are delivered in confidence to its members and INPO has basically unfettered access to the NRC. This is not exactly a recipe for gaining public trust. See J.O. Ellis Jr. (INPO CEO), Testimony before the National Commission on the BP Deepwater Horizon Oil Spill and Offshore Drilling (Aug. 25, 2010). Retrieved from NEI website May 27, 2014. GM Part 3 - Lawyers, Decision Making and...Simulation? The GM story continues to unfold on a daily basis. We’ve already lost track of the number of recalls as it appears that any and every possible safety defect from prior years has been added to the recall list. This is reminiscent of the “problem” nuclear plants in the 1990s - NRC mandated improvement programs precipitated an avalanche of condition reports into the plants’ Corrective Action Programs, requiring immense resources and time to sort out and prioritize the huge volume of issues. In our prior post on GM product safety issues, we critiqued the structure of management’s independent review being conducted by attorney Anton Valukas based in part on the likelihood that GM’s legal department would be a subject of the review. Asking the chairman of a law firm with a long standing relationship with GM, to pull this off seemed, at a minimum, to be unnecessary, and potentially could undermine the credibility of the assessment. Now we see in further reporting of the GM issues by the New York Times* that in fact GM’s lawyers are becoming a key focus of the investigation. The implication is that GM’s lawyers may have been the gate keepers on information related to the Cobalt ignition switches and/or been enablers of a decision process that did not result in aggressive action. “GM shall meet with NHTSA no later than 120 calendar days after execution of this Consent Order to conduct simulations—i.e., an exercise to discuss hypothetical scenarios, for the purpose of assessing the effectiveness of the improvements [in processes and analytics to identify safety-related defects]…” (p. 9, emphasis added) We find the emphasis of the Consent Order both fascinating and appropriate. It emphasizes decision making - the process, timeliness, engagement of appropriate participants, and transparency - as essential to assuring appropriate outcomes. It opens that process to scrutiny by the NHTSA through monthly reviews of actual decisions. And most strikingly, it requires the conduct of decision simulations to verify the effectiveness of the improvements. The provisions of the Consent Order establish a fundamentally new and better approach to rectifying deficiencies in safety performance and are consistent with themes we have been advocating for some time. It departs from the simplistic - blame some individuals, reinforce expectations, emphasize values and improve processes - catechism that is pursued within the nuclear industry and others as well. It seems to recognize that safety related decisions constitute the essence of assuring safety. Rather than just reviewing and investigating bad outcomes, the Consent Order opens the door to making the results of all ongoing decisions transparent and reviewable. Further it even calls for practicing the decision making process - through simulations - to verify the effectiveness of the process and the results. Practicing complex and nuanced safety decisions to improve the process and decision making skills - what an idea. It is no news flash to our readers that we have not only advocated these approaches, we have developed prototype tools for these purposes. We have made the NuclearSafetySim simulation tool available for almost a year via this blog and linked to its website. What has been the result? While it is clear there have been many viewings of these materials, there has not been a single inquiry or follow-up by the nuclear industry, the NRC or INPO. **** At the same time there have been no initiatives within those groups to develop new or improved tools and methods for improving safety management. Why? * B. Vlasic, “Inquiry by General Motors Is Said to Focus on Its Lawyers,” New York Times (May 17, 2014). Retrieved May 22, 2014. ** Consent Order between the National Highway Traffic Safety Administration and General Motors Company re: NHTSA’s Timeliness Query TQ14-001 (May 16, 2014). **** Ironically, the only serious interest has been expressed within the oil/gas industry which appears much more open to exploring innovative approaches. In our April 16, 2014 post we discussed the evolving situation at General Motors regarding the issues with the Chevy Cobalt’s ignition switches. We highlighted the difficulties GM was encountering in piecing together how decisions were made regarding re-design and possible vehicle recalls, and who in the management chain was involved and/or aware of the issues. As we noted, GM had initiated an internal investigation of the matter with the results expected by late May. In a recent Wall Street Journal article* there is some further perspective on how things are moving forward. For one, the GM Board has now instituted its own investigation of how information flowed to the Board and how it affected its oversight function. An outside law firm is conducting that investigation. In terms of the specific situation it seems fairly clear to us that Valukas should not be performing the investigation on behalf of management. The Board of Directors should have initiated the primary investigation using an independent outside firm - essentially what it has now done but which is limited to the narrow issue of information flow to the Board. Having current management sponsor an investigation of itself using a firm with commercial ties to GM will not result in high confidence in its findings. In a broader sense this situation models the contours of a wider problem associated with ensuring safety in complex organizational systems. In the GM case the assurance of a completely objective and thorough investigation seems to come down to the personal integrity of Mr. Valukas. While we have no reason to doubt his credentials or integrity, he is being placed in a situation where an aggressive investigation could have negative impacts on GM and its management - who are clients of Mr. Valukas’ law firm. 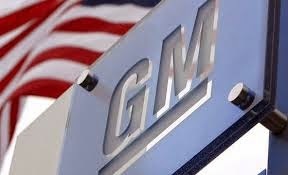 In addition this investigation will involve products liability issues which inevitably involve GM’s internal lawyers; in all probability Valukas’ firm has professional relationships with these lawyers making it a particularly sensitive situation. It is certainly possible that Mr. Valukas will be immune to any implicit pressures due to these circumstances, but it is an approach that puts maximum reliance on the individual to do the “right” thing notwithstanding competing interests. And in any event, the perception of an investigation of this type will always be subject to some question where conflicts are present. We also see an interesting analogy to nuclear operations where the reliance on safety culture is in essence, reliance on personal integrity. We are not implying there is anything wrong to expect and emphasize personal integrity, however all too often it becomes a panacea for countering significant costs or other impacts to operations and ensuring safety is accorded proper priority. And if things go wrong, it is the norm that individuals are blamed and often, replaced. In essence they failed the integrity test. 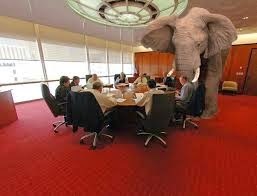 Why they failed, the elephant in the room, is hardly ever pursued. Rarely if ever do corrective actions address minimizing or eliminating the influence of those conflicts, leaving the situation ripe for further failures. * J.S. Lublin and J. Bennett, “GM Directors Ask Why Cobalt Data Didn't Reach Them,” Wall Street Journal (May 14, 2014). Earlier this week the DOE released its Accident Investigation Report on the Radiological Release Event at the Waste Isolation Pilot Plant. The report is a prodigious effort in the just over two months since the event. It is also a serious indictment of DOE’s management of WIPP and arguably, the DOE itself. There is however a significant flaw in the investigation and report: the investigators were kept on too tight a leash. Itemization of failures, particularly pervasive failures, without pursuing how and why they occurred is not sufficient. It also highlights the essence and value of systems analysis - identifying the fundamental dynamics that produced the failures and solutions that change those dynamics. “The Board identified the root cause of Phase 1 of the investigation of the release of radioactive material from underground to the environment to be NWP’s and CBFO’s management failure to fully understand, characterize, and control the radiological hazard.” [emphasis added] (p. ES-6) NWP is Nuclear Waste Partnership, the contractor with direct management responsibility for WIPP operations, and CBFO is the Carlsbad Field Office of the DOE. To complete the picture the investigation board also found as a contributing cause, that DOE Headquarters oversight was ineffective. So in sum, the board found a total failure of the management system responsible for radiological safety at the WIPP. Interestingly there has been a rather muted response to this report. The DOE issued the report with a strikingly neutral press release quoting Matt Moury, Environmental Management Deputy Assistant Secretary, Safety, Security, and Quality Programs: “The Department believes this detailed report will lead WIPP recovery efforts as we work toward resuming disposal operations at the facility.” And Joe Franco, DOE’s Carlsbad Field Office Manager: “We understand the importance of these findings, and the community’s sense of urgency for WIPP to become operational in the future.”* (We note that both statements focus on resumption of operations versus correction of deficiencies.) New Mexico’s U.S. Senators Udall and Heinrich called the findings “deeply troubling” but then simply noted that they expected DOE management to take the necessary corrective actions. ** If there is any sense of urgency we would think it might be directed at understanding how and why there was such a total management failure at the WIPP. Many of the specific deficiencies cited in the report are not point in time occurrences but stem from chronic and ongoing weaknesses in programs, personnel, facilities and resources. As mentioned in the opening paragraph we feel that while the report is of significant value it contains a shortcoming that will likely limit its effectiveness in correcting the identified issues. In so many words the report fails to ask “Why?” The report is a massive catalogue of failures yet never fully pursues the ultimate and most relevant question: Why did the failures occur? One almost wonders how the investigators could stop short of systematic and probing interviews of key decision makers. For example in the maintenance area, “The Board determined that the NWP maintenance and engineering programs have not been effective…”; “Additionally, configuration management was not being maintained or adequately justified when changes were made.”; “There is an acceptance to tolerate or otherwise justify (e.g., lack of funding) out-of-service equipment.” (p. 82) And that’s where the analysis stops. Unfortunately (but predictably) what follows from the constrained analysis are equally unfocused corrective actions based on the following linear construct: “this is a problem - fix the problem”. Even the corrective action vocabulary becomes numbingly sterile: “needs to take action to ensure…”, “needs to improve…”, “need to develop a performance improvement plan…”, “needs to take a more proactive role…”. We do not want to be overly critical as the current report reflects a little over two months of effort and may not have afforded sufficient time to pull the string on so many issues. But it is time to realize that these types of efforts are not sufficient to understand, and therefore ultimately correct, the issues at WIPP and DOE and institutionalize an effective safety management system. * DOE press release, “DOE Issues WIPP Radiological Release Investigation Report” (April 24, 2014) Retrieved May 5, 2014. 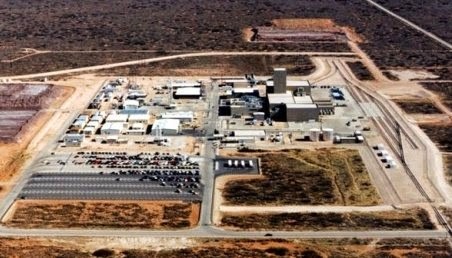 ** Senators Udall and Heinrich press release, “Udall, Heinrich Statement on Department of Energy WIPP Radiological Release Investigation Report” (April 24, 2014). Retrieved May 5, 2014. On Feb. 14, 2014, an incident at the Department of Energy (DOE) Waste Isolation Pilot Plant (WIPP) resulted in the release of radioactive americium and plutonium into the environment. This post reviews DOE’s Phase 1 incident report*, with an emphasis on safety culture (SC) concerns. The body of the report presents the details behind the conclusions and recommendations. 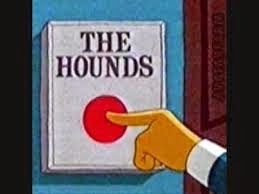 Following are some of the more interesting SC items, starting with our hot button issues: decision making (esp. the handling of goal conflict), corrective action, compensation and backlogs. The report suggests nature has taken its course: WIPP values production first and most. “Eighteen emergency management drills and exercises were cancelled in 2013 due to an impact on operations. . . .Management assessments conducted by the contractor have a primary focus on cost and schedule performance.” (p. 62) “The functional checks on CAMs [continuous air monitors] were often delayed to allow waste-handling activities to continue.” (p. 64) “[D]ue consideration for prioritization of maintenance of equipment is not given unless there is an immediate impact on the waste emplacement processes.” (p. ES-17) These observations evidence an imbalance between the goals of production and prevention (against accidents and incidents) and, following the logic of the introductory statement, a weak SC. Here is the complete text of Conclusion 14, which was excerpted above: “DOE has exacerbated the safety culture problem by referring to numbers of ORPS [incident and problem] reports and other deficiency reporting documents, rather than the significance of the events, as a measure of performance by Source Evaluation Boards during contract bid evaluations, and poor scoring on award fee determinations. Directly tying performance to the number of occurrence reports drives the contractor to non-disclosure of events in order to avoid the poor score. [emphasis added] This practice is contrary to the Department’s goals of the development and implementation of a strong safety culture across our projects.” (p. ES-15) ‘Nuff said. Maintenance was deferred if it interfered with production. Equipment and systems were allowed to degrade (pp. ES-7, ES-17, C-7) There is no indication that maintenance backlogs were a problem; the work simply wasn’t done. Infrequent presence of NWP management in the underground and surface. For starters, the Board appears to have a limited view of what SC is. They see it as a cause for many of WIPP's problems but it can be fixed if it is “nurtured by strong leadership” and the report's recommendations are implemented. The recommendations are familiar and can be summed up as “Row harder!”*** In reality, SC is both cause (it creates the context for decision making) and consequence (it is influenced by the observed actions of all organization members, not just senior management). SC is an organizational property that cannot be managed directly. The report is a textbook example of linear, deterministic thinking, especially Appendix E (46 pgs.) on events and causal factors related to the incident. The report is strong on what happened but weak on why things happened. Going through Appendix E, SC is a top-level blanket cause of nuclear safety program and radiological event shortcomings (and, to a lesser degree, ventilation, CAMs and ground control problems) but there is no insight into how SC interacts with other organizational variables or with WIPP’s external (political, regulatory, DOE policy) environment. Are there other unexamined factors that make WIPP's problems more likely? For example, has WIPP escaped the scrutiny and centralized controls that DOE applies to other entities? As a consequence, has WIPP had too much autonomy to adjust its behavior to match its perception of the task environment? Are DOE’s and WIPP’s mental models of the task environment similar or even adequate? Perhaps WIPP (and possibly DOE) see the task environment as simpler than it actually is, and therefore the strategies for handling the environment lack requisite variety. Was there an assumption that NWP would continue the apparently satisfactory performance of the previous contractor? It's obvious these questions do not specifically address SC but they seek to ascertain how the organizations involved are actually functioning, and SC is an important variable in the overall system. Bottom line: You don't need to pore over this report but it provides some perspective on how DOE views SC and demonstrates that a giant agency can get moving if it's motivated to do so. * DOE Office of Environmental Management, “Accident Investigation Report: Radiological Release Event at the Waste Isolation Pilot Plant on February 14, 2014, Phase 1” (April 2014). Retrieved April 30, 2014. Our thanks to Mark Lyons who posted this report on the LinkedIn Nuclear Safety group discussion board. 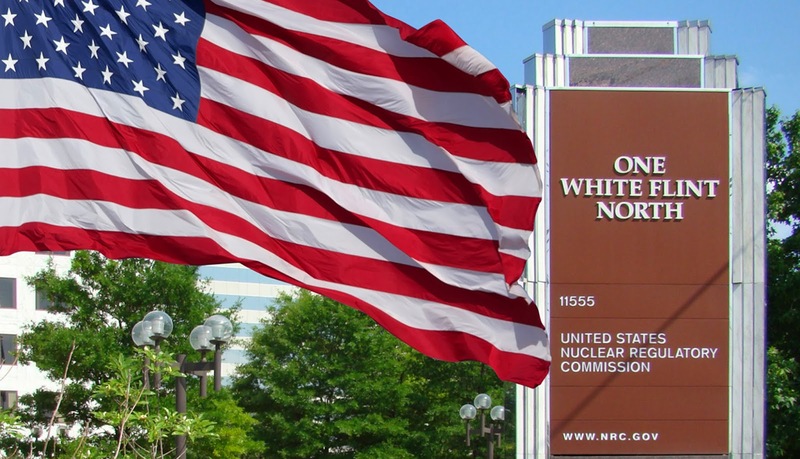 ** NWP LLC was formed by URS Energy and Construction, Inc. and Babcock & Wilcox Technical Services Group, Inc. Their major subcontractor is AREVA Federal Services, LLC. All three firms perform work at other, i.e., non-WIPP, DOE facilities. NWP assumed management of WIPP on Oct. 1, 2012. From NWP website. Retrieved May 2, 2014. *** To the Board's credit, they did not go looking for individual scapegoats to blame for WIPP's difficulties. **** In fairness, the report has at least one example of a feedback loop in the CBFO-NWP sub-system: CBFO's use of the condition reports as an input to NWP’s compensation review and NWP's predictable reaction of creating fewer condition reports. ***** The Accident Investigation Board was appointed on Feb. 27, 2014 and completed its Phase 1 investigation on March 28, 2014. The Phase 1 report was released to the public on April 22, 2014.